In this season of gratitude, we'd like to give thanks to our 2016 Alignment Conference Partners, who not only help us host the annual event for senior pastors, executive pastors, elders, and ministry leaders, but who also play vital roles in serving all our clients throughout the year. All these companies help bring our church projects into better alignment. If you haven't had a chance to get to know the wonderful people at these businesses, take a moment to review the listing below and click the logo or hyperlinks to find out more. We're certain that you'll find them to be valuable resources for your church building projects. Fishhook is an innovative communications and creative services agency who partners with churches and Christ-centered groups to help them communicate clearly, creatively and consistently. LiveSpace is a national full-service audio, video, lighting commercial integrator and live event production, staging, rental company, specializing in seamless system design and integration, and live event production from conception to project completion. Our goal is to create unforgettable experiences. Premier providers of products and services for environmental branding, transforming facilities nationwide through the planning and implementation of custom murals and graphics, displays, specialty signage and more. Cosgrove Construction Inc. offers a complete range of construction services as a General Contractor including quality carpentry, painting, and decorating options to better serve our customers’ needs and expectations. Leaders in creating immersive environments with cutting-edge sound, video, lighting and acoustics systems for houses of worship, commercial, and performance venues. Leading provider of HVAC systems, plumbing, piping and fire protection for commercial, industrial and institutional clients in Illinois. A design firm specializing in design-build and negotiated projects, including sealed drawings. Excel Electric Inc. is a commercial/industrial and site electrical contractor that primarily serves Northern Illinois with experience in a wide range of projects, from small office build outs to multi-million dollar industrial projects. With offices in Chicago, Naperville and Indianapolis, Hitchcock Design Group specializes in planning and landscape architecture services for such industries as Real Estate, Recreation, Healthcare, Lifecare and Education. Interior Investments offers holistic solutions for organizations dealing with growth and change. Our experience, innovative practices, efficiency expertise, and attention to detail are all key to our success in the furniture industry. Kwiatkowski Masonry, Inc. is a third generation mason contractor established in 1946 under the direction of Joseph Kwiatkowski. From the company’s earlier years, residential brick fronts and foundations, to today’s commercial, educational, institutional, industrial, and municipality projects, KMI has grown into one of the region’s leading union masonry contractors. Metropolitan Fire Protection, Inc. is one of the leading commercial and residential sprinkler contractors in the Chicago metropolitan area and Northwest Indiana. For more than 15 years, the company has designed, fabricated, installed, and serviced the most reliable sprinkler and fire suppression systems on the market and provided the most responsive service in the business. Service Mechanical provides innovative and cost effective solutions for the design, engineering, installation, and maintenance of HVAC systems. Its team of engineers work closely with architects, builders, and owners to analyze existing mechanical systems, evaluate specific needs, and offer full design/build capabilities. For over 35 years, Trout Glass & Mirror Inc. has delivered amazing design concepts to storefronts and homes in Northwest Indiana, South Bend, Southwest Michigan and Chicagoland, offering design options for residential and commercial installation. Warren F. Thomas Plumbing Company was started in 1996 by father and son, Warren and Craig. The company specializes in commercial and new construction. Established in 1960, Weihe Engineers offers land surveying and civil engineering expertise, providing its clients the confidence to build through timely, accurate information and creative cost-effective, compliant solutions. 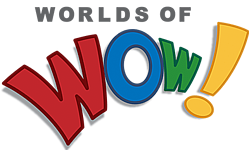 One of the few companies in the U.S. specializing in custom theming and play, Worlds of Wow designs "ridiculously cool," fun environments that impact kids and families of all ages. The company leverages its 10+ years of experience and 400+ completed projects to provide the most original design and highest quality product. Marian joined the Aspen team in 2014 as Director of Marketing. In this role, she puts her 20+ years as a writer and editor to work by sharing stories of ministry impact of churches Aspen has built. 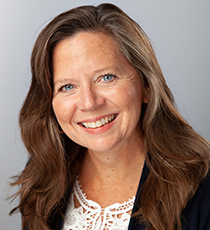 Marian oversees business development and all communications for Aspen Group.